My first impression: The title and--especially--the cover is so awkward to own. Like in my case, I bring my current reads wherever I go so I could read them whenever. The thing is, I had to read the book in a way the cover won't be seen. I'm sorry for being embarrassed that way but that you can't blame me! I have never owned a book with a hearse on it. 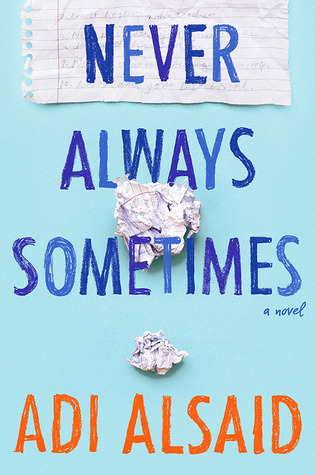 Part of me having second thoughts in requesting for this book from the publisher is the cover. Denton Little's Deathdate is contemporary sci-fi-ish. Some people from this world has, they call, a deathdate. Upon a child's birth, people will know when they will die. It could be after five years, ten, eighty, etc. On Denton's case, he will be dead by the next day. And the day before his--anyone's--deathdate, is his funeral. People give eulogy and even himself. Yep, creepy and weird. I was asking myself why did I even bothered reading this. I cannot even begin with its weirdness. And then the dialogues became funny enough for me to chuckle at some points and eventually, laugh. This comedic taste kept me reading. If I won't be getting any sense in here then entertain me by making me laugh. Until I reach the half of the book. A mysterious twist made this book more engaging. It turn out dystopian-ish which is cool. And I never expected that. I began to appreciate and get excited on each page. Although there's part of me that knows/had an idea for the answer, I had fun--and been frustrated (so many wrong lead-ons)--in unraveling the riddle of the book. So far the biggest surprise I read this year. 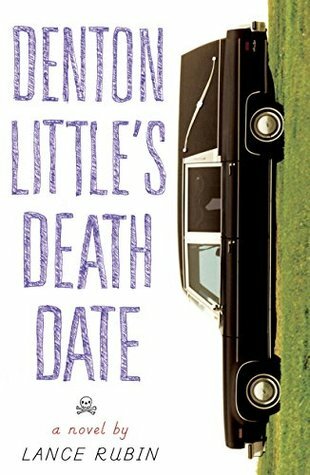 Creepy and weird-looking, yes, but expect the unexpected from Denton Little's Deathdate. Light, enjoyable, and hilarious read. I never expected to have a fun experience with this book. It turned out better than I thought (actually, I don't have any high expectations. I thought it was gonna sort-of-sucked). I really liked it and I'll absolutely look forward on the sequel. Yay! *Thank you so much Penguin Random House for the review copy in exchange of an honest review! What's Cool? Four Hardbacks and a Paperback!